Mr. Gordon Ritchie was with RBC Capital Markets for 37 years, retiring from the position of Vice Chairman in 2016. From 2001 through 2005, Mr. Ritchie served as Managing Director and Head of RBC’s Global E&P Energy Group. 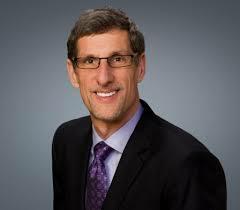 Previously, Mr. Ritchie spent six years in New York where he served as President and Chief Executive Officer of RBC’s U.S. Broker/Dealer, RBC Dominion Securities Corporation (1993 to 1999), where he was responsible for development and execution of RBC Capital Markets U.S. business strategy. From 1989 through 1993, Mr. Ritchie was Co-Head of RBC’s International Corporate Finance Group based in London, England. He has extensive experience in investment banking with RBC Capital Markets in Europe, the United States and Canada. Mr. Ritchie holds an MBA (1977) from the University of Western Ontario and a Bachelor of Economics (1975) from the University of Alberta. Mr. Ritchie has held securities industry regulatory designations in Canada, the U.K. and the U.S. and served for two years as a member of the New York area Advisory Committee to the New York Stock Exchange Board of Directors. In May 2017, Mr. Ritchie joined the Board of Directors of Kinder Morgan Canada Limited as Lead Independent Director and subsequently joined the Board of Directors for Obsidian Energy Ltd. in December 2017. Mr. Braun was Chairman, Chief Executive Officer and President of Blackbird. Mr. Braun is a seasoned oil and gas executive with over 15 years of oil and gas experience combined with 30 years of diversified business experience in finance and real estate. Over the past several years, Mr. Braun led Blackbird through the successful acquisitions of two E&P companies, the divestiture of non-core Montney assets, the accumulation of its Montney land at Elmworth and the drilling of Blackbird's Elmworth Montney wells. Mr. Braun is also a founder and director of Stage Completions Inc., an innovative downhole completions company. Mr. Braun was previously the Chairman and Chief Executive Officer of an international oil and gas company, an investment banker and a principal of a private real estate development company that completed over $1 billion in real estate development. Mr. Lancaster joined GMT Energy as Vice President Exploration and Production on January 1, 2000. Effective April 20, 2001, Mr. Lancaster was named President of GMT Energy. Mr. Lancaster resigned his position with GMT Energy effective with the merger and has since then served as a member of the Board and President of GMT Exploration. He graduated from the University of Colorado with a bachelor’s degree in Geologic Engineering in 1978. Mr. Lancaster is a former president of the Colorado Oil and Gas Association (COGA), on the Board of Directors for the Western Energy Alliance (WEA), and is a member of the Rocky Mountain Association of Geologist (RMAG), and the American Association of Petroleum Geologist (AAPG). Mr. John Rossall was the Executive Director, North America for Repsol Oil & Gas Canada Inc, retiring from this position in July of 2018. In November, 2011, Mr. Rossall joined Talisman Energy Inc., where he led Talisman’s Canadian oil and gas business, and subsequently assumed responsibility for Repsol’s North American business in May 2015 with the acquisition of Talisman by Repsol. Prior to joining Talisman, Mr. Rossall was President and Chief Executive Offer of ProspEx Resources, a TSX listed junior oil and gas company from 2004 to 2011. Previously, Mr. Rossall was the Vice-President of the North Business Unit of Burlington Resources Canada. Prior to the acquisition of Canadian Hunter Exploration by Burlington, Mr. Rossall led the Deep Basin business at Canadian Hunter. Mr. Rossall was also the Chairman of the Board of Governors of the Canadian Association of Petroleum Producers from December 2014 to April 2016. Mr. Rossall holds a BASc in Chemical Engineering (1984) from the University of Waterloo and subsequently completed the Program for Management Development at the Harvard Business School. Ms. Sankappanavar is the Co-Founder and President of Grafton Asset Management. Grafton is a Calgary-based energy investment firm with approximately $1 billion in capital under management, focused on investing at the asset level in oil and gas and infrastructure that supports the intermittency of renewable energy. Ms. Sankappanavar is responsible for strategy, oversight and execution of all Grafton’s business and operating units. She is a graduate of the Massachusetts Institute of Technology and began her career as a consultant with McKinsey and Company out of the New York office. Ms. Sankappanavar also serves on the board of directors for UNICEF Canada, The Palix Foundation, and Jowidana Hotels Ltd.
She has been honoured as one of Canada’s Top 100 Most Powerful Women, Alberta’s 50 Most Influential People, and one of Calgary’s Top 40 under 40. Mr. Tichio is a Partner of Riverstone Holdings LLC, a private equity firm that manages a portfolio of energy investments. Prior to joining Riverstone in 2006, Mr. Tichio was in the Principal Investment Area of Goldman Sachs, which manages the firm's private corporate equity investments. Mr. Tichio began his career at J.P. Morgan in the Mergers & Acquisition group, where he concentrated on assignments that included public company combinations, asset sales, takeover defenses, and leveraged buyouts. Mr. Tichio currently serves on the Boards of Directors of Centennial Resource Development, EP Energy, Talos Energy, and several private oil and gas companies in the U.S. and Canada. Mr. Tichio received his A.B. from Dartmouth College as a Phi Beta Kappa graduate and later received his M.B.A. with Distinction from Harvard Business School.